Today’s world of wine is mind-scrambling complex, in a state of sensory overload and full of patent argumentation. Sometimes you can go home again. Too often we forget to do just that. As wine agitators we yearn to be blown by a birr to scour the world’s rarely visited vineyards for pearls of indigenous excellence. We are desperate to be curious, to be the first in and we do it for sport. 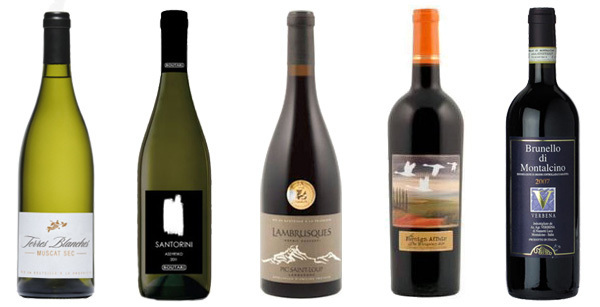 We want to extol the virtues and the natural wonderment of Etna’s Nerello Mascalese and Santorini’s Assyrtiko. We champion the esoteric and the cool. In the 1970′s American winemakers bottled white wine, including Chardonnay and called it ‘Chablis‘. The same New World daredevils were of the first to put ‘Cabernet Sauvignon’ on the labels of their wines, as opposed to ‘Graves’ or ‘Médoc’. Those were innocently sweet times. The early days of wine as comfort food, wines that reached a consumer comfort zone. The wines themselves were not the attraction, but rather the idea they represented. Cabernet Sauvignon has never looked back and now stands accused as being a ’colonizer’ at the expense of autochthonous varieties. Is the criticism warranted? Should a champion at the top of its game be castigated for its hard-earned, commercial success? Today’s world of wine is mind-scrambling complex, in a state of sensory overload and full of patent argumentation. Writers, critics and sommeliers agree to disagree about a wealth of topics. They rant about inaccessible restaurant wine lists, feckless wine columns and shoddy blog posts. What grapes to promote heads the heated discussion. There is a constant ebb and flow of complaint, especially with regards to a too cool for school ravenous appetite for the most obscure grapes. In the name of balance, a return to what got us here is both necessary and welcome. Bordeaux and Burgundy are original and safe terms of endearment. Cabernet Sauvignon and Chardonnay are the grapes of dreams. If you produce them, people will come. They will pull the bottles off the shelves, “not knowing for sure why they’re doing it.” They’ll arrive at the wine store, “as innocent as children, longing for the past. The one constant through all the years” has been Cabernet Sauvignon and Chardonnay. “It reminds us of all that once was good, and that could be again” in the world of wine. Here are eight renditions of the world’s most planted and famous of varieties, coming soon to a store near you. Canada’s Marie-Philip Poulin (L) celebrates with Canada’s Meghan Agosta-Marciano. I hope the Canadian men’s hockey team watched the women this afternoon. Lesson number one: Play to the last friggin’ millisecond. Canada versus the United States is hockey incarnate. The games are always exciting. When we gathered for that first historic Salt Lake City Gold Medal game in 2002, we drank cinquante. Mario would have wanted it that way. For the 2010 Vancouver golden goal win we convened with Steam Whistle. That historic Sunday in February was my first time out of the house after a right AC (acromioclavicular) joint shoulder rebuild. Hockey injury, of course. Wine did not factor into those generation defining Olympic hockey games. Back in 2002 names like Lemieux, Sakic, Fleury, Brodeur, Hull, Leetch, Modano and Roenick were toasted with beer, though back then the brands were not so craft related. In 2010 it was all Sidney Crosby and had I been acquainted at the time with the wonders of Sparkling wine from Nova Scotia, Benjamin Bridge would surely have been flowing. Meanwhile, Super Mario turned out to be a serious wine collector so I wonder what Le Magnifique will be opening this Friday at noon. Team Canada architect Steve Yzerman is also known to follow the way of the grape and though he won’t be sipping Napa Cabernet with the other brass during the game, I’ve a feeling there’s a ’97 waiting in his hotel room should Canada prevail over their arch rivals. The great Rhône wine scribe George Heretier posed the all-important debate, ”who says wine and hockey don’t make a good match?” If you want to exercise the powers of superstition, pulling out those two winning vintages will call upon the hockey gods to carry our Canadian men to gold. That and a Loonie buried beneath the surface at centre ice. Here are eight great Canadian 2002 and 2010 wines to crack open and sip along with another Canada-U.S. classic hockey meeting. Here are six rock ‘n’ roll wines, in four-four time, ready and willing to ease your mind. Them’s fightin’ words. No, not that rant by Robert Parker about Robert Griffin III. Wine critic Robert Parker Jr. railed against a bevy of unnamed bloggers on the natural, honest and low-alcohol wine supporting bandwagon. His claim? Natural wines will be exposed as fraud. Parker’s would-be assailants are an outspoken generation who would seek to bring down those classic grapes capable of ripe extraction and elevated levels of sugar and alcohol, namely Cabernet Sauvignon, Pinot Noir and Chardonnay. The intensity-loving reviewer has positioned himself as the establishment, a victim agonizing over the sanctification of “godforsaken grapes,” like Blaufränkisch and Trousseau. Alder Yarrow of Vinography took exception and proposed a cage match. His column: Debating Robert Parker At His Invitation. Rebecca Gibb’s take: Should Robert Parker Have Listened to Disraeli? Jamie Goode put in his ever-wry two cents: Novelty at the expense of quality? This after Jancis Robinson chimed in with Bottle fight: Novelty v classic wines. Talia Baiocchi had this to say: The Robert Parker Tirade, Continued. Eric Asimov brought it down to a New York state of mind with Why Can’t You Find That Wine? Meanwhile, Steve Heimoff took the other side: There are some kinds of blogs we just don’t need. There isn’t a writer in the bunch I wouldn’t read, can’t learn from or don’t find funny, but the need to chime in on what is obvious and already understood leaves me dumbfounded. In wine, as in life, there are some things that just are what they are, like them or not. Mr. Parker, you carved your niche. Those who lay with you ate cake. The model worked. It held water and was extremely successful for a long time. You are this week’s Napa Wine Writers Symposium keynote speaker, where you will feel the love. No one will ask, what have you done for me lately? You created the establishment and are of course trying to protect the status quo. You’ve been ridiculously prolific. Integral to the high-frequency, high-end wine buyer. And you are just a writer. Really. So what if the dogs are seeing signs of Queegish dotage. You named no names in your rant, so who exactly did you mean to insult? The world is your oyster. What’s with the bitching? Robert Parker about to address wine writers at #WWS14. Asimov, Bonne, Yarrow and others in the audience. I expect spontaneous combustion! Perhaps Parker touched an insecure spot, the one where self-doubt creeps in. The one that drives writers to defend themselves, even if the attack is not a personal one. The need to tear him down is strange at best. It smells of poli-campaign slander. If he’s no longer relevant, as a vehement bunch seem to scream and shout, why bother? Why is the wine writing community one where sides desperately need to be taken? To both sides I caution the high road. Let writers write and if you think they are wrong or have nothing to say, ignore them. Like a tree falling in the forest, is an unread writer ever really heard? It’s understood that controversy sells and lively discourse is healthy. In this case it has produced more than a novella of interesting reads. The current generation of critics, bloggers and reviewers is replete with some stupidly smart writers who have chosen wine as their raison d’écrire. That they chime in and offer their take on everything from varietal obsessions to tasting bans and producer/journalist relationships is certainly fascinating. Arguing the merits of varietal worthiness is fine. Discussing the pros and cons of esoteric versus classic wines on restaurant cards is relevant. Throwing sticks onto the ice, choosing teams and starting fights simultaneous to the debate loses sight of the original topic. I am not suggesting a wine writer’s love in but would more levity and space not foster an environment where the wines themselves matter more than the people who talk about them? Tasting, talking about and writing up wines seems the course to stay, whether it be reviews on varieties never heard of or an obnoxiously fat glass of buttery Chardonnay. Richard Auffrey fights the good fight but still takes a stab at the beast. The always dry W. Blake Gray floats on in his singular, ethereal way, and by doing so, gets it right. He wants you to know I’ll have some Roussillon, hold the Rivesaltes. With Tuba and Alto Sax. Perhaps Gray would agree with me. If I need a dose of scathing criticism or irony I’ll turn on Bill Maher, or put on a Bill Hicks Rant in E-Minor. Music and wine can work magic when paired together. Jamie Goode has been exploring the possibilities. Sometimes it’s just a matter of breaking wine down to the base, choosing grapes from places where they are made in straightforward and simply powerful ways. Likewise, clicking an uncomplicated, three-chord arrangement on YouTube or the I-pod can really change the outlook of a day. Here are six rock ‘n’ roll wines, in four-four time, ready and willing to ease your mind. Thomas Bachelder is a quote sprinkler. Like this: “It’s not because you can’t tell something blind that it doesn’t exist.” On Monday, February 10th, the Quebec native courted and mesmerized a room of 50 Ontario Wine Society members, guests and wine writers at the University of Toronto’s Faculty Club. If there is another winemaker’s brain that can dish out dissertations with gifted, hypnotic babble like Bachelder, I’ve yet to hear it. All so unbelievable and believable at the same time. Whatever the former Le Clos Jordanne and Lemelson winemaker is selling, I’m buying. I would crawl up any staircase, rearrange busy schedules and mobilize the troops to taste the wines of Thomas Bachelder. So, when the call came from OWS President Ken Burford to join Bachelder and partner Mary Delaney for another tasting of the Bachelder Project, mobilize I did. For a brief history on the Burgundy, Oregon and Niagara terroirist, check out my November 2013 tasting report, with thanks again to Tony Aspler. The nine-deep tasting focused on the 2011 vintage, with one (2010) exception. While it was not a perfect storm of the entire (15 wine) Bachelder portfolio, it was a pretty damn good attempt. It’s hard to believe that a Canadian citizen who happens to make wine in three countries is forbidden to hoard enough of his own wines to conduct tastings at his leisure. Canadian cross-border restrictions meant Bachelder had to deliver his Oregons to a New York post office box and then carry them across at Fort Erie. Imagine the scenario. Customs officer: “What are the wines for?” Bachelder: “I am the winemaker and they are for a tasting in Toronto and for my cellar.” Beyond absurd. The rest were sourced from SAQ and LCBO stores scattered about the two provinces. On Stelvin (screwcap) vs cork, he avoids the question and says it’s the bottle with the thick neck he wants, the one that pours with ceremony. 1,500 cases is just about the maximum Bachelder intends to make in each of the three regions. On expansion: “There’s only so much you can do in a person’s cellar without them saying what the hell are you doing here.” These refreshed tasting notes are transcribed in the prescribed order poured by Bachelder and though I’m still not sure of the method behind the line-up’s madness, call me crazy if I wasn’t transfixed. I can and will pick wines for any and every occasion, from the Ice Storm to the Super Bowl, from Halloween to sipping along with Rock and Roll. Valentine’s Day receives no exemption but there can be no sugar coating cupid’s get in the mood juice by way of the pink stuff. Blush and bride do not connect as the greatest Valentine’s Day pairing. A real man will drink Rosé any day of the year, just not tomorrow. February 14th is so hyper-candied that ingredients like salinity, minerality, positive bitterness, animale and tannin are essential in the name of balance. Just don’t pair your dry red wine with chocolate. The earnest call across the country to free my grapes continues though regrettably, stiff resistance stifles the cause. If you live in Canada, purchasing wine ties you directly to a monopoly. There are exceptions, though still imperfect ones, like the free market culture of Alberta and the developing tiered system in British Columbia. The earnest call across the country to free my grapes continues though regrettably, stiff resistance stifles the cause. Manitoba and BC allow direct to consumer inter-provincial wine imports. Consumers can order from out of province and receive direct shipments so long as the wine is 100 per cent Canadian. Nova Scotia has passed enabling legislation that will follow a similar path. If you reside in Quebec or a fortiori, in Ontario, having wine shipped to you remains taboo. The alternate recourse of consignment wines available for purchase through local importers is an irregular option and having to buy by the case designs no compass of mass appeal. Spend even a fraction of the time I do in trying to seek out the best values, at the best prices and in the categories that cater specifically to personal tastes and you will understand how difficult it is to be satiated in such a constricting climate. I am not the only one seeking out red wines made in the vineyard, through minimalist oak intervention, unhindered by residual sugar, produced by passionate and honest winemakers who are vigilant with the softest of hands. Who does not want their wine to have mass in it, as in life? Who would reject an elixir drawn from iron-rich earth, boiled through limestone and warmed to a rosy madder? Who can deny the pure joy culled from a wine that might steal the words from the mouths of poets? In Canada, unearthing such gems requires intestinal fortitude, especially considering the search is mapped out in government-controlled stores. Stock norms do not include wines made from lesser-known grapes, from regions and appellations less frequented. It takes time, effort and most of all, patience. Life can get in the way of the endless and unavailing chase; work that pays, kids, weather, fatigue. Sometimes it just makes sense to abide and even embrace the easier, well-worn path. This is where the bigger wineries step in, toting larger case loads and a middle-of-the-road, radio bathos experience. There are varietal vicissitudes to ferret out from varieties you might have chosen to avoid. New World Pinot Noir and Chardonnay. Zinfandel. Rhône blends. Sangiovese blended with Cabernet Sauvignon. Tempranillo. All these grapes are often mistreated, modernized, smothered in oak and homogenized so that their indigenous origins are blurred into a bar of mass-produced chocolate. Occasionally they are done right by their makers. In what has been such relentless cold, snow and ice, now into the oppressive dog days of winter, don’t think of drinking commercial wine as copping out. The big houses can be your friend, so loosen up and trust me when I tell you I’ve worked very hard to weed out the chaff and promise only to recommend the whole wheat. Here are seven current releases that made the pecuniary cut.